So maybe you played Secret of Mana back in the day, and maybe its wonderful mishmash of cultures taught you a thing or two. For instance, when you learned that the fifteenth-century scientist and occultist Paracelsus assigned supernatural spirits to the four natural elements — gnomes for earth, undines for water, sylphs for air and salamanders for fire — you recognized the names, and you realized that while alchemy may no longer be a legitimate field of study, its more fantastical tenets live on in nerd culture. Sure, some of the Secret of Mana simply sprung from the developers’ imaginations, but a lot of it came from somewhere, and that was reason enough to wonder about the stuff you never figured out. It’s… a giant, lumbering, toothed plant-thing. And it was a pain to beat, I remember, but what lingered most about this boss was the fact that its name seemed like it must mean something. 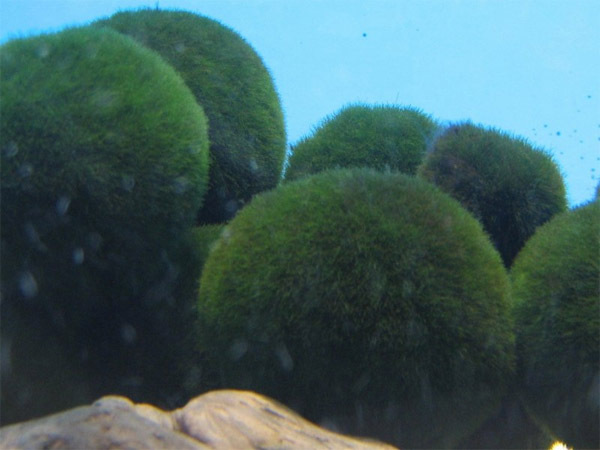 The round shape of the marimo is maintained by gentle wave action that occasionally turns it. The balls are green all the way round which guarantees that they can photosynthesize no matter which side is turned upwards. Inside, the ball is also green and packed with dormant chloroplasts which become active in a matter of hours if the ball breaks apart. The wave action also cleans the balls of detritus. As some colonies have two or even three layers of marimo balls, wave action is needed to tumble them around so each ball reaches the light. The Japanese name comes from a combination of the word mari, “ball,” and mo, a generic term for water plants, according to Wikipedia. The Ainu call them torasampe, “lake goblin” and tokarip, “lake roller.” In Iceland, they’re kúluskítur — from kúla, “ball,” and skítur, “skítur.” But their scientific name is Aegagropila linnaei, and knowing that, it’s pretty clear that someone involved in the production of Secret of Mana knew this fact, saw that the Aegagropilon was a green, round plant thing and was all “Hey, how about this for a name?” And now, nearly twenty years after I played the game, I see what they did there. Aegagropila, by the way, is apparently Greek for “goat hair.” Logical conclusion: Goats must be different in Greece. Great little piece of trivia. Though, IMO they probably started with the Aegagropila as the basis for the monster design, not a name chosen in retrospect. And I'd say you're right. I just need to find out what they called the character in the Japanese version first. I tried doing my own research on this, and it turns out that his name is "Megazone" in Japanese. I have no idea why this could be, and the internet is of no help. 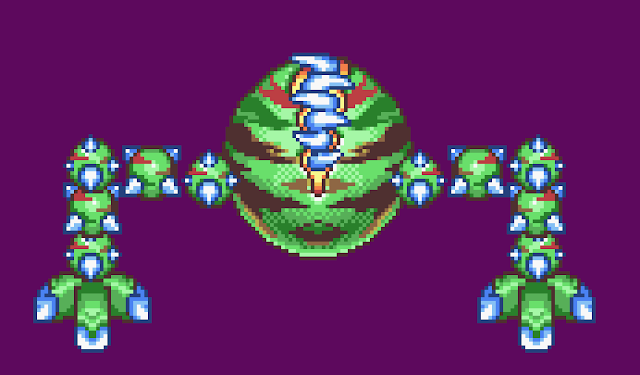 The few comments I saw online from Japanese players seemed to think Aegagropila looks more like a watermelon with legs, so the designers may or may not have been inspired by the marimo. I take it that the translator was familiar with marimo, found its scientific name somewhere, and stuck it in. And you're probably right. I know a lot of people resent translators when they take this kind of initiative, but I kind of like the idea of someone acting on a whim and changing how everyone receives the game, you know?